Dr. Matthew Schloneger, assistant professor of voice, coordinates the voice area and teaches Voice, Opera Workshop, Diction, Vocal Literature and Vocal Pedagogy. He was a Rotary Scholar at the Civica Scuola di Musica di Milano and has a certificate in French language from the Sorbonne (Paris). He has performed principal operatic roles with Opera Theatre of St. Louis, Operafestival di Roma, Wichita Grand Opera, Opera Kansas, Sorg Opera, Whitewater Opera and others. Dr. Schloneger is co-winner of the 2017 Van Lawrence Fellowship of NATS and the Voice Foundation. He was also awarded Best Research Poster at the 2014 NATS National Convention and Best Student Presentation at the 2015 Voice Foundation Symposium. His research has been published in the Journal of Voice, the Journal of Research in Music Education and the International Journal of Research in Choral Singing. 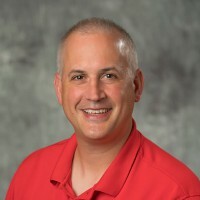 In the last eight years, he has had 15 finalists in the West Central Regional Competition of the National Association of Teachers of Singing, including first-place winners in classical and musical theatre categories, with many students moving on to successful graduate degrees and careers in the performing arts.